A series of videos captures insights into how the therapeutic role of nutrition is advancing today, for tomorrow and together through the collaboration between healthcare professionals, patients, breakthrough biotech leaders and Nestlé Health Science. The quest for innovation is strong across fields as diverse as gastrointestinal sensitivities, oncology, infant food allergy to new technology platforms such as the microbiome and amino acids; it is an innovation frontier expanding the boundaries of nutrition, health and wellness. Disclaimer and Advisory note to viewers: These series of films provide insights into the advancing role of nutrition in health management and science and are not intended to promote any particular product. They are not a recommendation for use, nor are they designed to instruct on their use or application. All specialized nutrition should only be considered upon the recommendation or prescription of relevant healthcare professionals and be taken under their supervision. Capture insights into how the therapeutic role of nutrition is advancing today, for tomorrow and together through the collaboration between healthcare professionals, patients, breakthrough biotech leaders and Nestlé Health Science. Learn how Nestlé Health Science is helping advance the adoption of a pioneering dietary approach – developed by experts at Monash University, Australia – that limits dietary sugars associated with IBS symptoms. Pediatric epilepsy impacts not just the child, but also the wider family. A significant proportion of patients don't respond to mainline drugs but experts are advancing understanding and adoption of ketogenic dietary therapy. It switches patient’s metabolism to burning fat rather than carbohydrates as a source of energy. Innovative products such as those developed by Vitaflo, have a key role as part of a wider educational effort to enable parents and carers to make a palatable diet that patients can adhere to. 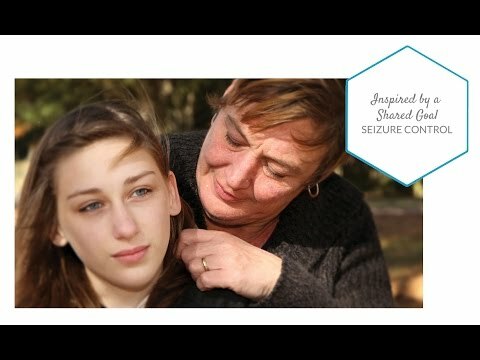 Seizure control is transforming lives. The ability to analyze microorganisms is today unraveling the mysterious of the microbiome – the 100 trillion microorganisms that live within us. An unhealthy or so-called dysbiotic microbiome is now understood to be an underlying cause of a range of health conditions. Nestlé Health Science partner, Seres Therapeutics, is a leader in the field, exploring its microbial strains to develop therapeutics that aim to make the microbiome well again. An ability to diagnose, feed and treat the microbiome – creating a transformational health technology platform is within reach. Amino acids have long been recognized as the building blocks of protein, but today breakthroughs are being made revealing that amino acid imbalance may have be causal factor in a multitude of disease states. Nestlé Health Science partner Axcella Health is exploring the human diet to identify proteins that have the amino acid signature capable of restoring cellular balance and thereby treating the underlying cause of the disease. It’s a new therapeutic modality in the making. Cow’s Milk Protein Allergy is the most common infant food allergy in the first year of life; yet it’s range of non-specific symptoms make it difficult to recognize, leading to delays in therapeutic intervention. Experts, supported by Nestlé Health Science, are however introducing a simple to use scoring tool – the Cow’s Milk Related Symptom Score – enabling primary healthcare professionals to interpret symptoms and consider earlier intervention. An innovative skin patch diagnostic tool is also in development in this dynamic field of therapeutic advance.